IT and OT are converging in numerous important industries, such as banking, healthcare, transportation, defense, energy, aviation, manufacturing, engineering, mining, oil and gas, natural resources, and utilities. IT leaders who are impacted by the convergence of IT and OT platforms should consider the value and risk of pursuing alignment between IT and OT, as well as the potential to integrate the people, tools and resources used to manage and support both technology areas. The data center today is the nerve of any organization, including all the critical assets that drive ‘Business Operations & Profitability’. Data centers run 24x7x365 & are measured by their ‘Service Availability’. Service Interruptions caused by failure of ‘ANY ASSET’ in the Data Centre can cause significant ‘Revenue Loss’ and ‘Increase Operations Costs’. Our SMART DC Solution includes all the four key asset class of a datacenter – power, building infrastructure, physical safety & security and information technology. We converge all in one single unified IOT platform – thus making it simpler to monitor, manage & report performance. The Solution is highly cost effective and saves huge leakages such as unnecessary energy consumption. Utilities like water & power distribution in almost all countries across the world is a leaking bucket, with the leaks being larger in the developing & emerging economies. The use of the term ‘leaking bucket’ refers to an ongoing challenge wherein; ‘energy leakage’ due to suboptimal management has put extreme stress on governments, on utility management companies, and on paying commercial and residential consumers. 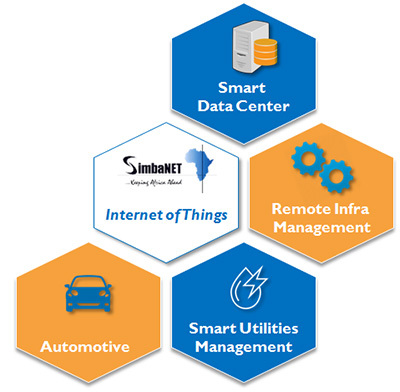 Our IoT based SMART BMS proposition addresses all the above challenges, holistically, in a vendor agnostic manner – in both 'Brownfield and Greenfield Environments'.